Delaying adaptation or a failure to act will only cost more in the future and expose communities to a greater level of risk to coastal hazards. The flowchart below describes the processes for coastal adaptation adopted by the Alliance. CSCA approach to coastal adaptation. 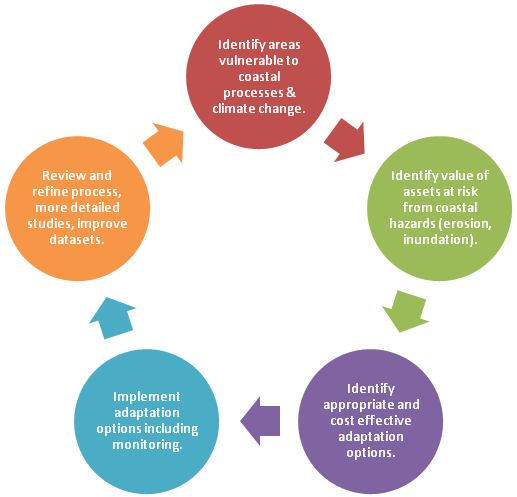 Risk management approach is fundamental to climate change adaptation. The ISO risk management framework (ISO 31000:2009) was adopted by the CSCA to address risks and to help deal with uncertainties associated with the magnitude and timing of climate change impacts. 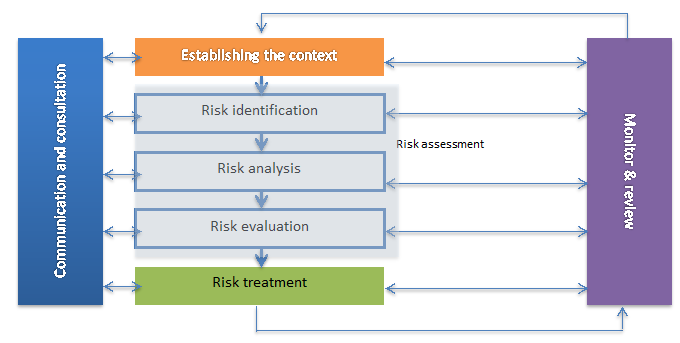 A risk management approach helps to identify the likelihood and consequences of risks and define the level of acceptable risk for the coastal zone. An acceptable risk is the level of risk individuals and communities are prepared to live with, along with the amount they are prepared to pay for activities that would help them adapt to climate change effects over time (Britton et al. 2011).